MineP.it dashboard is not showing confirmed or unconfirmed but payout are working fine just go my first. 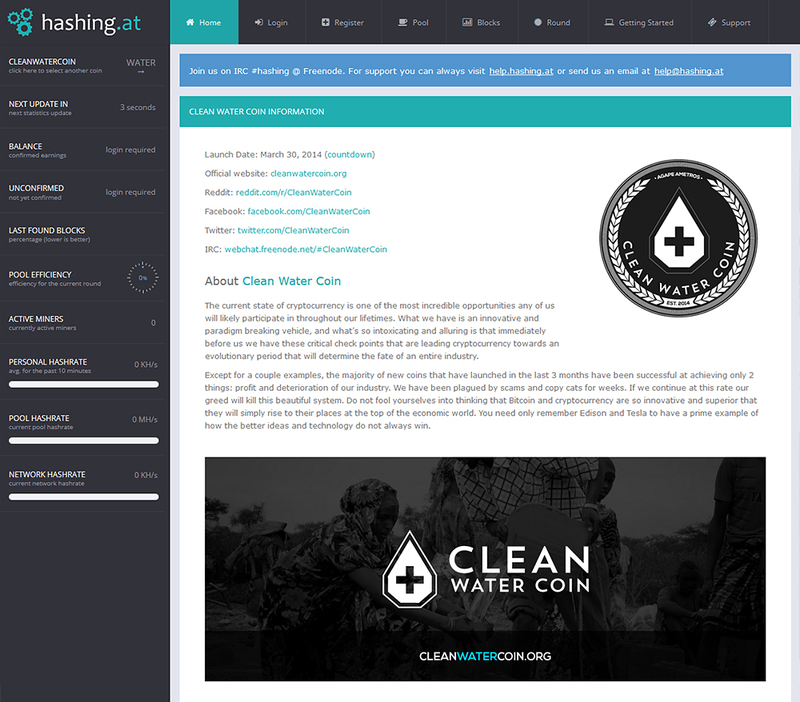 was the same for h2o..
https://water.suprnova.cc doing fine, cool launch ! If by "cool" you mean most of the miners were left stranded for nearly 30 minutes..........then I guess, yes it was cool. I like your pools is there anyway to use the same user/pass for each coin? I would say hashing.at is ok so far no fork blocks aren't concurrent so either the fork is more than one pool or the peep who said is on the fork lol . So is hashing.at forked or is it a just a vicious rumor? where is the dev to confirm or not this? No forks that we can see. How long ago was this coin launched? dev can you confirm hash.at is mining good coins? Only 1% fee - payments are sent every 5 minutes. You can register here anytime and you can already create your workers. MNGOPOOL IS NOW ON AND GETTING BLOCKS!!! Thanks for the update. We're just working on getting the stats to show correctly ! Well it looks like I'll get about 150 coins from this crap released shitcoin before diff is insane. Thanks for wasting my time dev and pool ops.